Everyone dies. But what happens to us then? Do we stick around? Do we move on? Mackenzie Bishop has those answers for you. On the outside, Mackenzie seems like a typical 16 year old. Like every teenager she has secrets. Her biggest secret is that she is a Keeper. This is not the typical of job of anyone, let alone a 16 year old. Mackenzie has a special insight of what happens to you when you pass on. She knows that the dead aren’t always well rested. When the deceased, known as Histories, become restless and “wake up,” it is her job to catch them and bring them back to the Archive. The Archive is where Histories are laid to rest for eternity. Think of it as a library for the dead where each History has their own spot on a shelf. Even though the Histories may look like real people, they are not; they only hold the memories of that person. This fact becomes blurred for Mackenzie when her grandfather died years ago (he is the one who passed on the job of Keeper to Mackenzie), but even more so when her little brother, Ben, tragically dies. Things start getting really weird, really fast for Mackenzie when her family decides to move to a new city to escape the memories of Ben. Her parents move into the Coronado and open a cafe in the building. Now, Mackenzie’s job of being a Keeper is fairly routine and not life threatening. However, once she moves into the Coronado and starts learning the history of the building, her Keeper duties start becoming dangerous. Mackenzie also learns of the dark history of the Archive itself. Victoria Schwab does a wonderful job at world building and setting the mood. There are many scenes in this book that gave me chills. In the book, you visit the Narrows, where the woken up Histories go until a Keeper catches them and sends them back to the Archive. There are times where you will feel legitimately creeped out when you visit the Narrows. Schwab does a fantastic job of building the suspense that this place organically has, but add in some intense action sequences, and you will catch yourself holding your breath. The characters are the right mix of being very likable and annoying at the same time. There are reasons why the characters are being annoying, and their backstory serves for that purpose. If you take out Mackenzie being a Keeper, she has many characteristics and motives of a real teenager. Nothing she did ever stood out making the me question why she did something. trying to live as a teenager is tough by itself, but then add the loss of her brother, her parents who can’t cope, and then being a Keeper, you can imagine the myriad of thoughts that could go through a person’s mind. It’s taking the confused teenager to a whole new level. If you’re a girl reading this book, be prepared to fall in love with Wesley Ayres. All I have to say is: guyliner. He has charm oozing out of his skin. Also, the side characters were pretty well developed for the limited amount of time you spent with them. They were all unique, giving you a different perspective of Mackenzie’s and the Coronado’s life. One things for sure, the Coronado has some unique characters. This book has great pacing. There isn’t “info dumping” happening. She mixes the action with information very well. You will get caught up in the mystery of what’s happening with Mackenie, the Narrows, the Archive, and the Coronado. This story is also heartbreaking. The Bishop family is still in deep mourning for their son, and each one of them deals with it in a different way. Considering that, the family dynamic worked. It is the messed up, confused dynamic you’d imagine it to be. The sadness doesn’t take away from the pacing or overall flow of the book. It adds another layer to the story, and it’s not glossed over. For Doctor Who fans, Schwab does sprinkle a few Who Easter eggs throughout the book. If you find them, comment below! When you finish this first book, you will want to know more. I wouldn’t say you are left in a a crazy cliff hanger, but there are questions you will want to be answered. There will be no spoilers here. I will say, the mystery that involves Mackenzie, the Narrows, and the Archive in the first book, continues in second. This book is more mystery than paranormal. You meet new faces in this, and some old faces will surprise you. There is a battle between what Mackenzie thinks is real and what is just her imagination. She starts losing trust in herself, and her abilities in being a Keeper. She really starts losing her mind. In this book, Mackenzie really got on my nerves. I felt she was ridiculously annoying at times, and I plain couldn’t stand her. Then I started thinking about what happens at the end of the first book, and the traumatic events that happened. I believe she was dealing with PTSD, and I think that’s where some of her choices that I think are annoying came from. When I started thinking that way, she became less annoying. There were definitely times I screaming for Mackenzie to get a grip. I enjoyed the first book more, but this is a solid sequel. I enjoyed the more mystery aspect of this sequel. Mackenzie and her parents’ relationship is still strained, and I like that this part of the story wasn’t forgotten about in the book. There is a lot of relationships that change in this book, and not just between Mackenzie and her parents. New relationships are also formed. 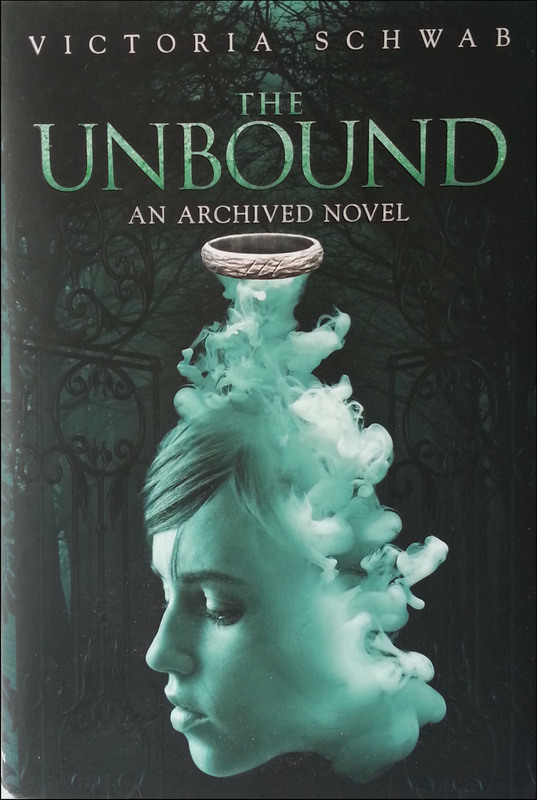 As I stated earlier, this is a solid sequel, and I don’t think you will be disappointed about what Schwab has done. The only thing you will be disappointed about is that there is not a 3rd book yet, and we don’t know if there ever will! So saddening. You, as the reader, get so involved and absorbed into Mackenzie’s world, you want to see her safe and be in a good place. I think that’s one of the main reasons that this series is so good. When you combine great and relatable characters with great world building, it’s a recipe for a good story. Schwab has figured out the right balance between the two. The characters never seemed to overshadow the world, and the world never seemed to overshadow the characters. They work in harmony. A word of caution: When starting a Victoria Schwab (or V.E. Schwab) book, you will ask yourself, “What is going on?” I love that. You jump right into the story, and you feel like you’ve might have missed something. You re-read the last page just to make sure. BUT DON’T WORRY! You have not missed a thing. Enjoy the ride she takes you on. Teenager or adult, this is a wonderful series to pick up if you want to be enveloped in a story that mixes the normal with mystery and the paranormal. Wow! I really love your review of the Archived Series. I read it a few years ago and I thought it was a great series. 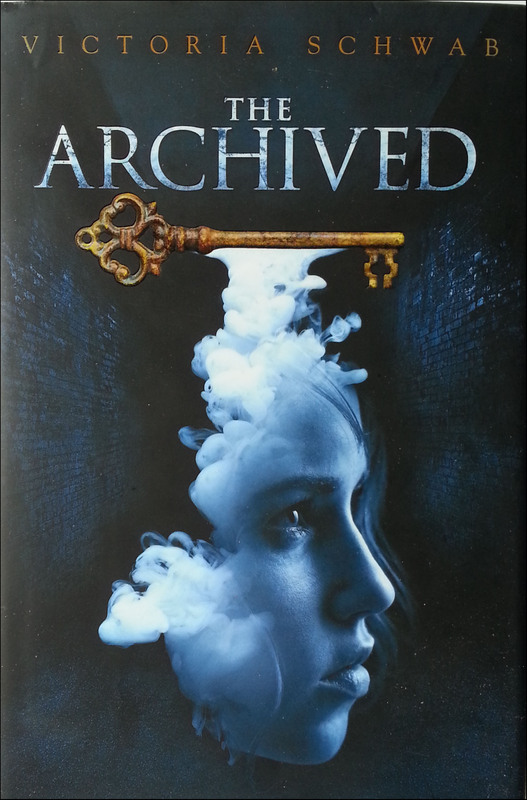 Your review summed it up perfectly: the suspense, the darkness and the mystery shrouding the Archive. This book was a perfect balance of romance, mystery and adventure!